MacBook owners are diverse in their activities, but a good number of them are using Apple's laptops for productivity above all else. These machines can get stuff done. Now, what if you had an accessory to elevate the hustle? 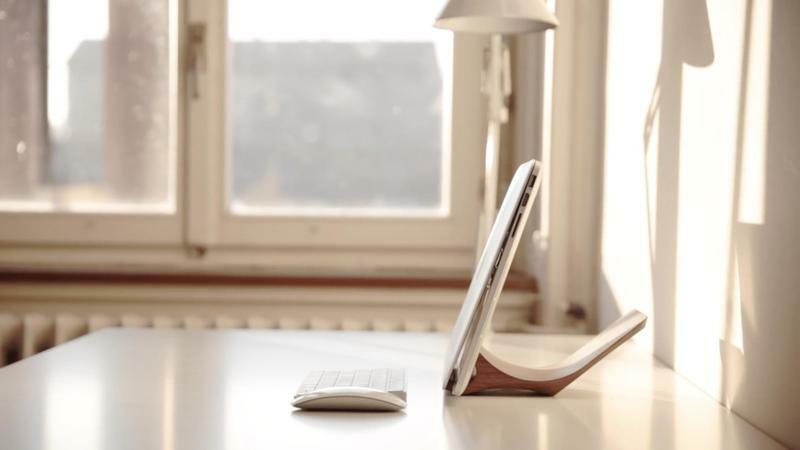 Check out the Yohann stand, which sets out to be a subtle aide while you work. Yohann's not a mainstream brand yet, but you should definitely look at its flagship product if you or someone you know owns a MacBook. 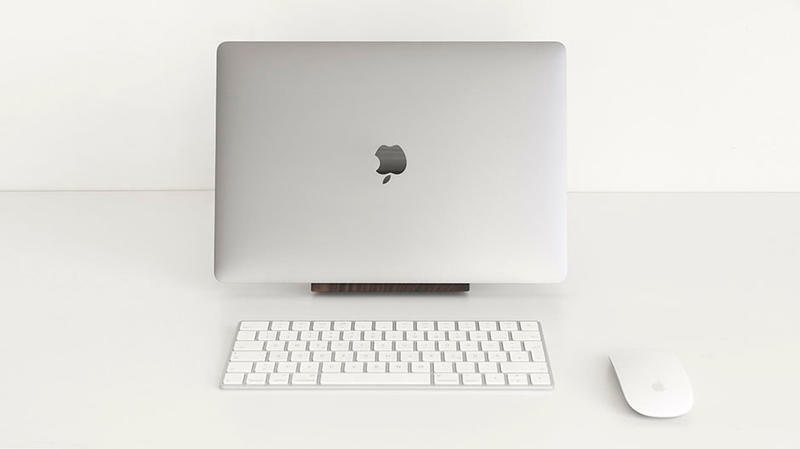 Based in Switzerland, the Sillber AG-owned design studio created an incredibly simple accessory that enhances how productive you can be. 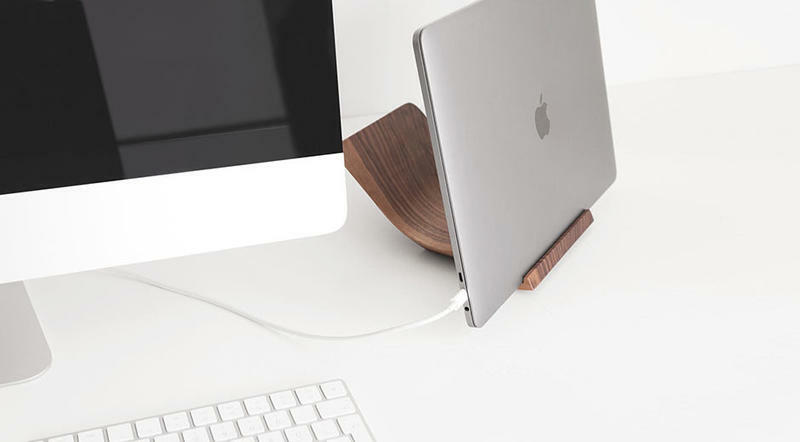 Just place your MacBook onto the Yohann stand, and now you can work more comfortably. The stand doesn't feature flashy colors or even an intricate design. 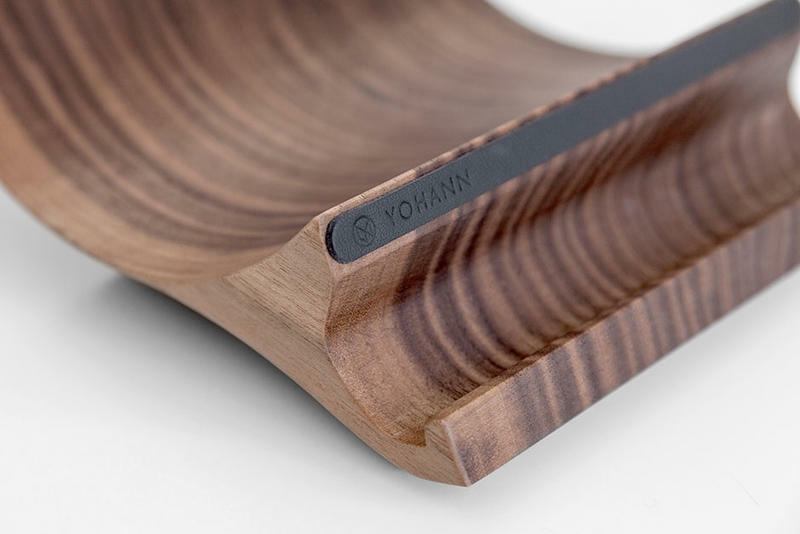 Yohann takes a piece of wood and molds it into a refined, clean appearance. 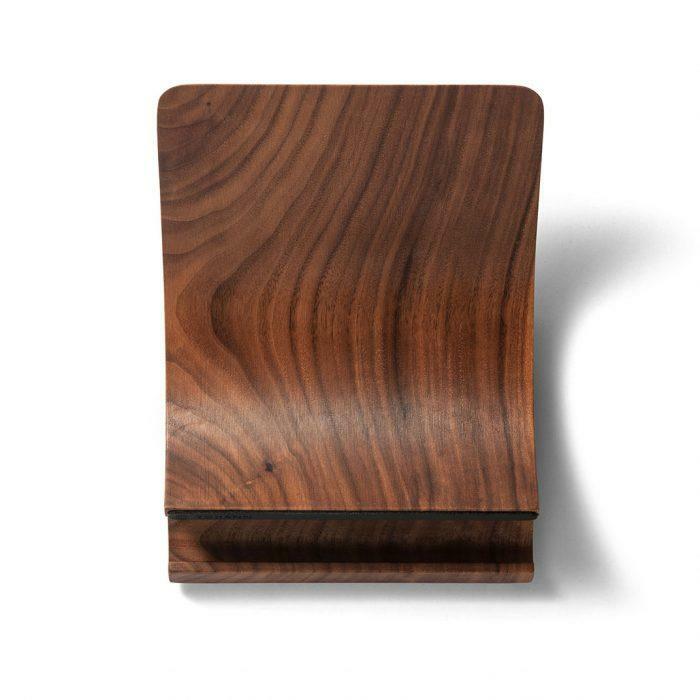 All you're deciding is whether you want walnut or oak. By the way, the sustainability element of this explains why the Yohann stand costs as much as $179. 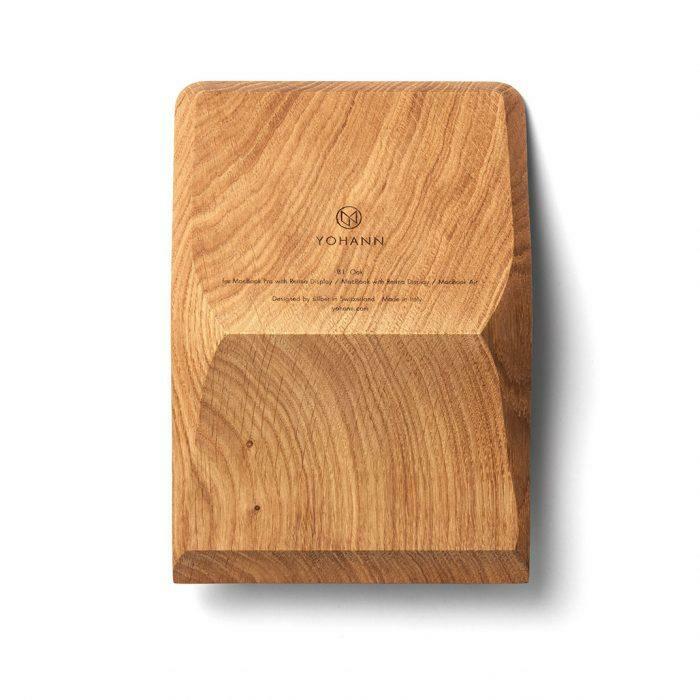 Yohann uses walnut and oak wood types that are certified by the Forestry Stewardship Council. 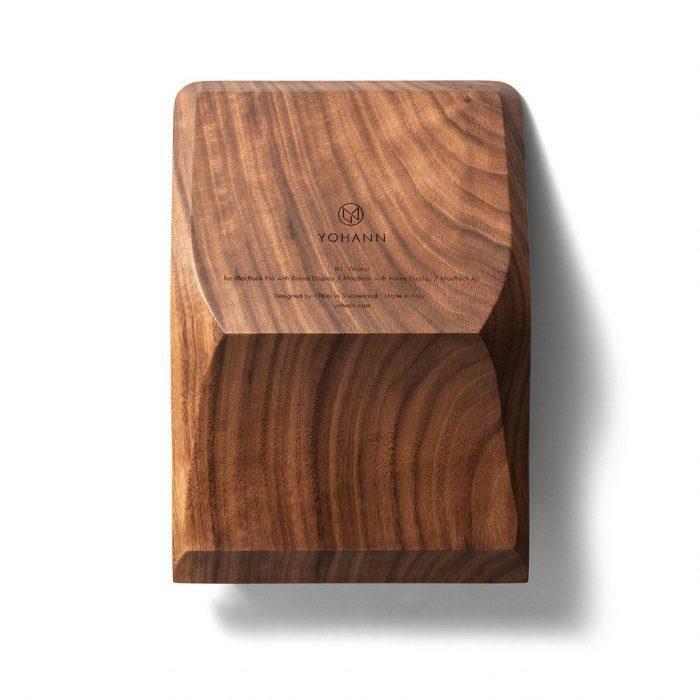 From locations in North America and Europe, Yohann obtains sustainable materials that aren't at risk of extinction. Let's see how this eco-friendly accessory fits into a workflow. After all, it might turn out to be a winner and make a superb gift. Don't worry, though. We won't tell anyone if you get the Yohann stand for yourself as a self-appreciation present. Personally, I strongly dislike working from a laptop. It's only something I'll do when away from the office at an event or while traveling. So the Yohann stand is useful for propping my MacBook Pro (mid-2010) and getting a desktop-like layout. Add a keyboard and mouse, and I'm set. The Yohann stand doesn't magically turn my laptop into a full-blown desktop, but it does make usability a bit more pleasant. It's about the angle and how I'm looking at the display. In using the Yohann stand, I found it refreshing to not be staring down. There was no need to be hunched over and leaning into the MacBook Pro. The Yohann stand kept the display directly in front of me at eye-level. Even though I've never suffered from neck or back strain prior to using this accessory, the added comfort of looking directly ahead at the display was noticeable. The difference between having and not having the Yohann stand now feels remarkable. Honestly, I don't want to go back to the Hunchback of Notre Dame style when using a laptop. 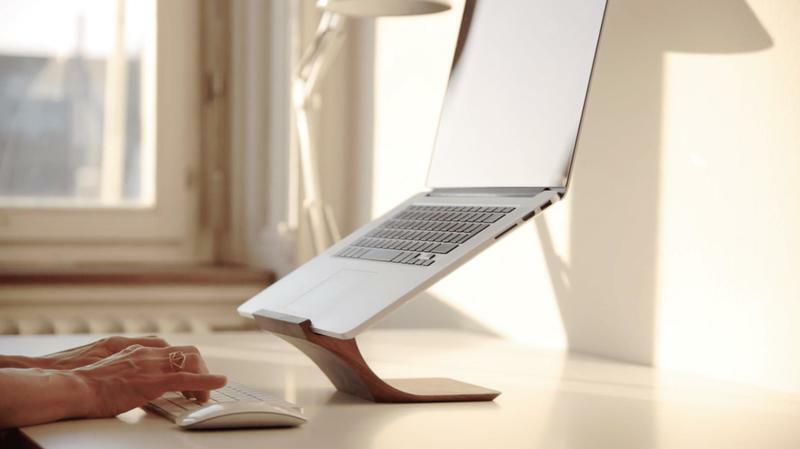 Maybe you're concerned about the balance between the Yohann stand and your MacBook. Have no fear, my friends! Both are trying to tilt in opposite directions; therefore, the MacBook stays secure and not at risk of falling over. The Yohann stand also contributes to heat dissipation. Since my MacBook Pro isn't exactly young and spry, it does run pretty hot under the most minor circumstances. Did Yohann make my laptop cooler? Not that I noticed, but I did like the fact that my MacBook Pro was able to breathe from every angle. 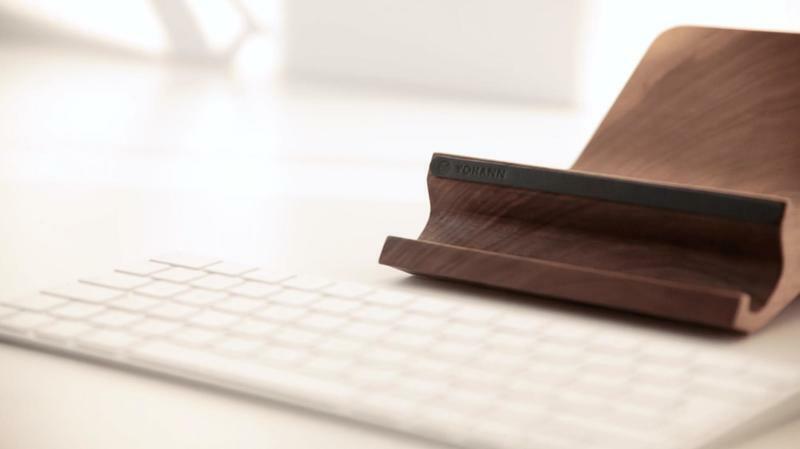 Yohann built its stand for when your MacBook gets connected to a monitor or goes into standby, too. If the laptop starts feeding audio and video to another device, you can close the MacBook's lid just enough where the display stays out of sight but keeps everything else running. That's because Yohann put a stopper in the gap between the lid and the keyboard. Alternatively, you can enter clamshell mode and pull the MacBook toward you. Now it'll be closer to the surface. There isn't much to do here, but it prevents someone from knocking into the Yohann stand and tipping it over too hard. 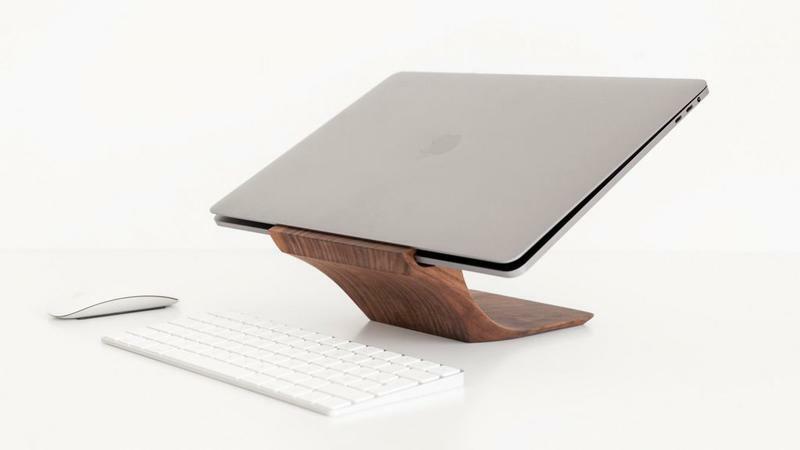 If you're interested in the Yohann stand, expect to drop a good amount of money ($159+). For most consumers, it could be too expensive. There's no doubt you can find other stands on Amazon that are way cheaper. Then you lose out on the premium materials and engineering that went into the Yohann stand. But, for power users who like clean workstations, the Yohann stand blends right in.